Oct 27, 2018 • ePi Rational, Inc. • A map — one of the ten essentials. Anyone going to the back country needs a decent map. Most outdoor stores sell 7.5 minute topographic maps (maps with contours). But there are great online resources to download and buy topo maps. This page is here to help. 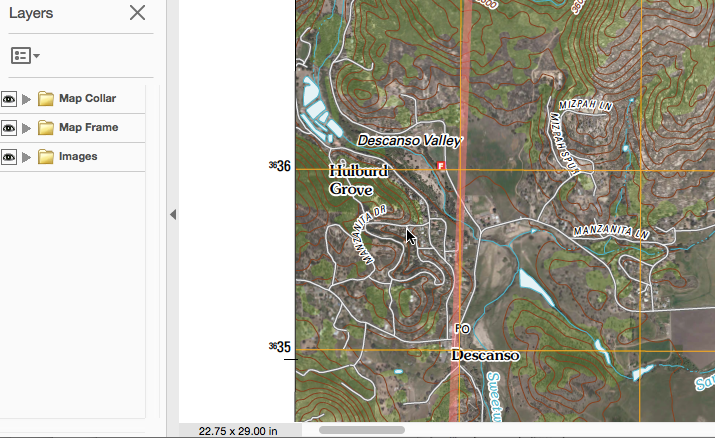 Navigate to your area of interest by zooming and panning on the map. Then click on the name of the USGS US Topo 7.5 minute map you wish to download. For example, navigate to downtown San Diego, then click on the text for the “Point Loma” 7.5 minute map. You will then be given the choice to download the Geospatial PDF (usually greater than 30 MB). After downloading the Geospatial PDF, you can use Adobe Acrobat Reader DC, to turn on and off the layers. Most browsers can render this Geospatial PDFs directly in the browser. For example, you can open the PDF in Chrome or Firefox. If you are interested in processing Geospatial PDFs by layer or a bounding box, then we recommend the FOSS4G tool called GDAL. Please see our technical note on using GDAL to process Geospatial PDFs, RobLabs.com/gdal-geopdf. This GIF video gives an example of toggling layers in the El Capitan Quadrangle in Yosemite National Park using Adobe Acrobat Reader DC. If you wish to print with out the satellite, then you have to use a GeoPDF plugin to disable the image layer. 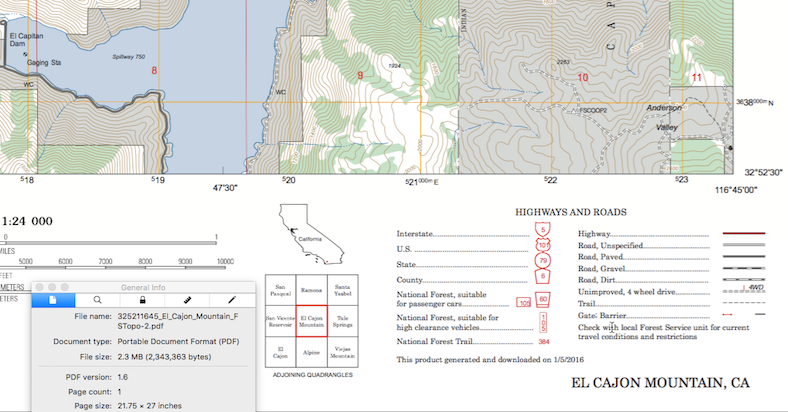 The United States Forest Service or USFS has a site for downloading PDFs of their format called “FSTopo GeoPDFs”. These maps can be viewed any usual PDF reader and printed out. CalTopo.com is a great resource for generating Geospatial PDFs. You can center the map at your particular latitude/longitude instead of trying to span multiple quadrangles. Then you get a URL that you can use to download your PDF for printing. GeoPDF is a TerraGo Technologies published extension to the Adobe PDF file format. GeoPDF is not a separate format; any GeoPDF conforms to the base PDF specification, and GeoPDF files can be used as plain PDF files.